Ultra modern styling is exemplified with the design of the Florian Collection. 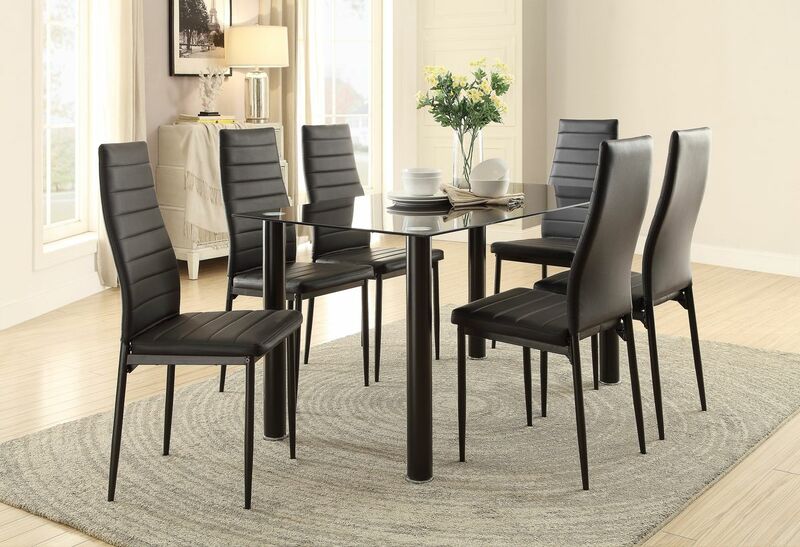 The collection is offered in two color options – black metal legs with black glass top or white metal legs with clear glass top – for the perfect fit in your casual dining space. Bi-cast vinyl covered seats in coordinating black or white complete the contemporary look.